September | 2013 | Mike Lamberti, From Margate To Cleveland, And Back ! 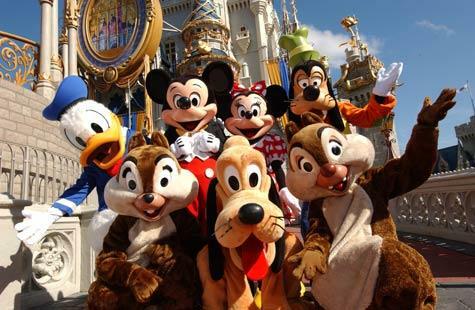 A great upcoming flight: D.C. to Disney !!! Nutley’s Deanna Cafone has long been a fan of the empire that is Disney World. Needless to say, Cafone is ecstatic about the upcoming opportunity. Cafone, a 2011 graduate of Nutley High School, is currently at student at Essex County College. A rabid sports fan, (especially wrestling), her high-energy persona and work ethic will make her a natural for this new challenge. She went through a couple of rounds of intense interviews before being accepted. It’s been a big week for Cafone, who became an aunt for the second time when her older sister, Nicole, gave birth to a healthy boy, Vincent Salvatore Boyce, on Sept. 21. And before she leaves, Cafone will audition in October to possibly be a Disney character. “How treat would that be?” the affable Cafone said. He’s been a head football coach for a grand total of two games, and already Wayne Demikoff of Wayne Hills has garnered a pair of Coach of the Week honors. Following his team’s 17-14 win over Northern Highlands on Sept. 13, he was tabbed by the New York Jets as its Coach of the Week. With Hills (2-0) slated to play at Tenafly on Saturday afternoon, one can only wonder what’s next for Demikoff if the Patriots win that game. In both its victories, Wayne Hills trailed by double figures in the first half before imposing its will in the final 24 minutes to win in dominant fashion. The Patriots trailed Highlands, 14-3 in the second quarter and were behind 14-0 to Valley at the half. In the second half of both games, the Patriots have outscored its opponents, 24-0, including an Erik Martinez field goal that decided the Wayne Valley game. 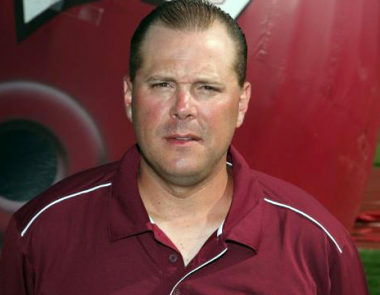 As usual, Demikoff, a long-time assistant to Chris Olsen at Wayne Hills before taking over as head coach in 2013, downplayed his latest award. From an alumni point of view and from just witnessing these games from the outside, it may appear to have lost some luster. field because most of these kids are friends outside of that. The feeling you get as a player or someone who is apart of it hasn’t changed. Just what people are viewing as a tradition dying out- but it still lives in the coaches and players. Trust me on this one, I’m not out too many years! I like to find cause for things. and I saw the end of the football rivalry when they stopped playing on Saturday Afternoons in daylight and started playing games at night under the lights… I remember the Saturday games when I was a kid.. The stadium would be packed week after week. It was almost like EVERY game was a rivalry game. But then again, that was in the Big 10 Days.. when we took on teams like East Orange, and such… When they started playing at night.. the first few years, there was good attendance.. but then… Friday nights turned into movie night date night.. etc. The Thanksgiving Game against Nutley would get everyone out in attendance on the way to family dinner… Old Timers… the guys that played years ago and still speak about each game play-by-play… People you haven’t seen in a year.. It was more of a rivalry event because of the day! Coaching matters as well. There will never be another John Senesky, and his team of assistant coaches like our friend Bill Bakka, Joe D’Ambola, Gennaro Russo, just to name a few…. Politics and favoritism have put a stop to that as we can see. Now, the Belleville-Nutley rivalry is just another Friday night game. The rivalry is in the memories.. perpetuated by the continuance of meeting once a year and making it an extra special event. With that said, let’s now define the Belleville-Nutley football situation on the high school level. It’s become nothing more than a series of games. The rivalry aspect is over, at least for now and most likely, the forseeable future. To not have seen this coming is to put our proverbial head in the sand, which is fine, because a local football rivalry, per se, brings about a lot of juice. It riles up the alumni, as well as providing a certain intensity in preparation for the coaches and current players. But is there a football rivalry between the neighboring towns? Obviously not, based on Nutley’s 45-0 win over Belleville on Sept. 13, in a game that could easily have been 65-0. The 45 point margin of victory is the largest in the history of this series, eclipsing the previous mark set by the 1952 Bellboys in a 37-0 win over the Raiders. (Nutley’s biggest margin of victory had been 35 points, with those wins coming in 2002, 2005 and 2011). You can say last Friday was just one game, right? Okay, then consider this. Over the past 30 years now, Nutley has a 24-4-2 record versus its rival. Since John Senesky left as head coach after the 1996 season, thanks to some nimwits who felt it was time for him to go, Belleville is 1-16 against Nutley. That’s right, 1-16. Since Senesky, who served as head coach for 20 years, left, Belleville has had five head coaches in 17 seasons. Do the math. That’s an average of barely three years, per guy, with Pat Dowling and Joe Fischer serving the longest tenures with four seasons each. Senesky is the same man who has the most coaching wins (at either school) in the history of this one-time ‘rivalry’, with nine. Belleville’s lone win against the Raiders since Senesky’s final game (a 20-0 victory over Nutley on Thanksgiving Day, 1996) came five years ago, when first-year head coach Chris Strumolo, ironically a Nutley High grad, led the Bucs to a 22-12 win on Thanksgiving at Doc Ellis Field. Strumolo also came close to a second win in three years two seasons later before Nutley, a state finalist that year, rallied to a 29-22 win on Thanksgiving after Belleville led, 22-21, late in the game. (That game would also prove to be Strumolo’s last at Belleville. And keep in mind, in a 59-36 loss to Nutley in Strumolo’s second year at BHS, the Bucs were leading in the second quarter). It’s hard to call this a rivalry when Nutley just celebrated its 50th win in the series, which is almost mind-boggling considering the two schools have met just 73 times. Another words, Nutley is 50-19-4 against Belleville since the series started in the 1920s and has been played consistently since the end of World War II. And finally, in the last three seasons, Nutley has outscored Belleville by a combined 111-26. And bear in mind, we’re not talking particularly dominant Raider teams, either. In football terms, Army-Navy is a rivalry. Michigan-Ohio State is a rivalry. Verona-Cedar Grove is a rivalry. Montclair-Bloomfield is a rivalry, Easton-Phillipsburg is a rivalry. Wayne Hills-Wayne Valley is a rivalry. Belleville-Nutley? it’s a high school game. It bears no resemblance to the classics of the past, when records didn’t matter and no kid, on either team, felt they would lose. People love to say times have changed. And I guess they have. And with that, the rivalry is over.